You must have seen people playing BombSquad on PC or Android Phones but never found it on the AppStore for iOS. Is BombSquad for iOS in the beta mode or is it even available? If Yes, then where can you download this game so that it can be played on iPhones as well. BombSquad was released way back in 2011 by Eric Froemling. 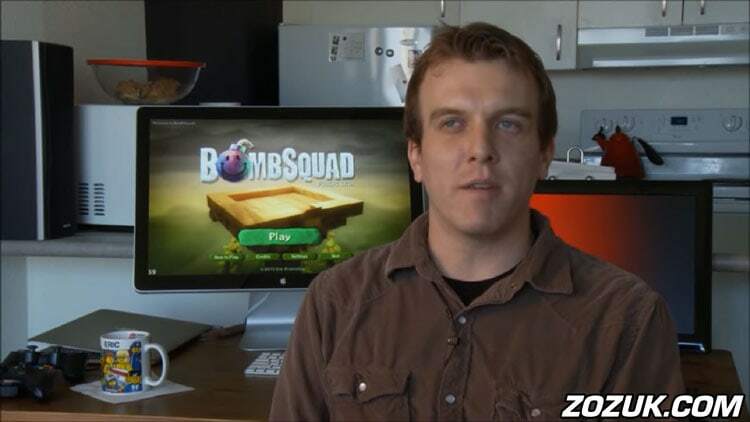 Eric is a VFX artist and an indie game developer making the game BombSquad all by himself. He started developing BombSquad purely as a hobby back when he was finishing up his art school. The game was first released for download on Mac and then for other platforms. Grab some friends, your Mac, a few gamepads or iPhones, and get your party-game on! The following video teaser of BombSquad on iOS device was released way back in 2012 by Eric himself. So it’s highly likely that the game is up for download on App Store. According to Eric the beta version of BombSquad is ready and the IPA file will be released for all once the Network Play is debugged but you can download the pre-release version. Eric Froemling’s interview on BombSquad. Mac was the first system where BombSquad was developed. All the debugging and feature addition was first done on a Mac by Eric about 15 years ago. During the course of BombSquad’s development, there was a time when Eric left this game to collect dust off the shelf. Eric was never in the mindset of getting BombSquad out in public or monetize it. Later when he got his first iPhone, it made him start all over again on BombSquad’s development. From BombSquad’s Mac version the developer began his work on the Android counterpart of this game. Once the game got its very talked about feature, “Network Play”, it was ported to other platforms like Windows, Android, Linux and iOS. Follow these steps to download and install BombSquad. Download BombSquad compressed(zip) file from here. Unzip the file using softwares like WinRAR. Execute the application by double-clicking on the DMG and APP file. Alternatively, you can install it through Mac App Store by clicking here. Playing BombSquad with the keyboard is a little uneasy. Also, you won’t find a USB gamepad with most of the casual gamers. 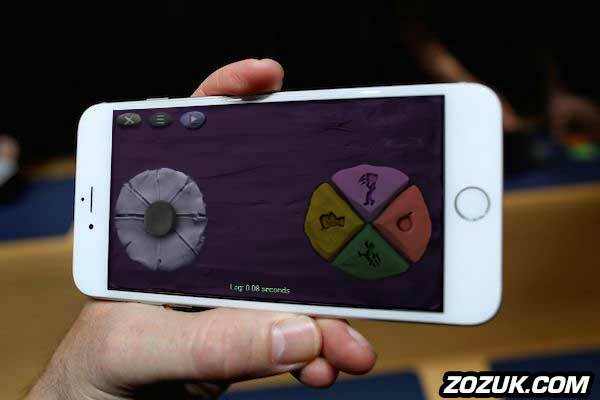 That’s where the idea of turning your smartphone into full-fledged controller comes in. The BSRemote app turns any smartphone (Android or iOS) into a wireless remote controller. Using the BombSquad remote app is pretty easy all you need to do is download and install it on your iOS device. The app works by connecting to the same WiFi network that your Mac is connected with. The remote layout is same on both iPhone and Android smartphone. Installing BombSquad Remote app on iPhone 5 and 5s is pretty much same but requires an extra bit of efforts to do it on iPhone 6. Here is how you can easily get the app up and working on your phone. Download BombSquad Remote IPA file from this Direct link or from App Store. Install the app giving it all the permissions that it requires. Once installed head over to your Mac or Apple TV and connect it the local WiFi network. Open the Remote app connect it to the local network as well. Tap on the name of your computer and the connection will get established. Take a look at this video on how to connect the Remote app and MacBook. In a personal interview, Eric told that he has been working on this game for 10 years now. He started it out as a hobby and began the work by trying to create a game where one little square attacks the another. The part-time development turned out to be a year-long project. Years after the game’s completion Eric bought it onto various distributive platforms like PlayStore as an APK version and Mac App Store. The game is now a livelihood for Eric. When Eric was done creating the game on Mac OS and Android, he choose Android over iOS first because of Android’s large market share as much as 86.2%, the developer started his work on iOS. 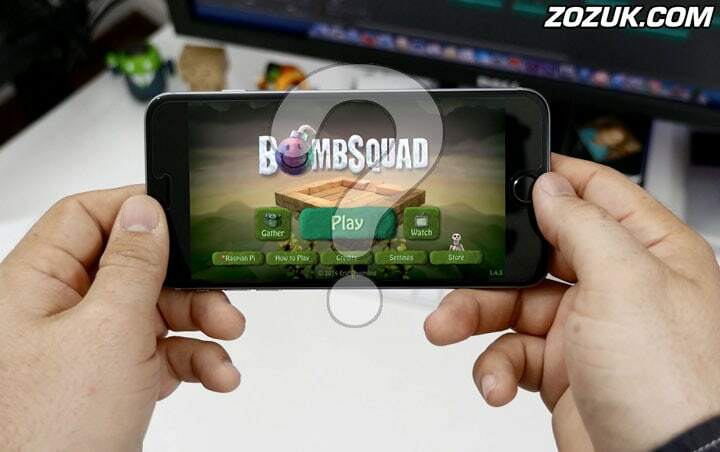 BombSquad was almost ported to iOS and at the same time, Eric got to know about Ouya, which is an Android-based microconsole for gaming. Eric paused all the development work that he was doing to get the game on iPhone and iPads and started working out with the Ouya team. At that time BombSquad was not ready for online gaming and Ouya offered him to place the game on their console for local multiplayer. This shuffle in the development made Eric rest the development. So, BombSquad is yet to be released for iOS. The full game is believed to be released next year, though the official dates are not confirmed by Eric. But one thing is confirmed that BombSquad will be free to download from App Store with some in-app purchases. Sit back and relax while Eric cooks up the game for you and enjoy this interview where he talks about BombSquad and his journey so far. While the real BombSquad game is released on App Store, we have created a list of games that are similar to BombSquad and available for iOS. But before getting into the list let’s just clear it that these games won’t deliver the exact experience that you would otherwise have with BombSquad. These games have a few features that resemble that of BombSquad. Don’t go with the name, Bombing Bastards is the kind of game that would definitely create the nostalgic feeling by reminding you about Bomberman game. The game is much like Bomberman in terms of gameplay but with high-end graphics. It features 30 different mazes where you have to find enemies by blasting off obstacles. For every hit, you get reward points with which you can modify the bombs range. As you advance in the game you will have to face enemies which have far more power than you. Available for: iOS, Android and Windows. You can also try nintendo based games on your iPhone through emulators. Also comment below if you have any message for Eric, a response or a query you have on BombSquad for iPhone(iOS) will be forwarded to him. I want bombsquad on iOS,please!!! Ugh, me and my friends want to play but all the fun games are ever rarely on iOS and Android at the same time. It’s so annoying.